Do you love to create funny pictures on your iPhone & iPad ? If you love to make and share funny photos, this article can help you find useful apps to create funny photos on your iPhone or iPad quickly. Check the list of top funny photo apps for iPhone and iPad . 1. PicZone – Photo Editor & Collage Maker ( iPhone & iPad ) – One of the best photo editing apps on the App store and it comes with lots of useful options. This app is a complete photo editing app that help you edit and retouch your photos easily from your iPhone. The app includes tons of features and tools such as photo editing tools, different types of photo effects, adjustment tools , cropping tools and lots of objects in sticker option. The most useful feature of this app is having lots of useful stickers that can be used to create funny and professional images. PicZone also comes with photo collage making option which lets you create freeform collage with lots of images. If you want to create funny photos easily, just use sticker option of this app. This option lets you add different types of objects in your photographs. Great photo editing app for iPhone users. 2. 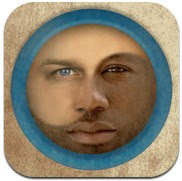 Place My Face ( iPhone & iPad ) – Very useful fun photo editor that lets you put your face into different types of photo templates. With the app, you can create funny photos quickly on your device. For example, If you want to create realistic photo with popular celebrities, the app could be useful for your device because it comes with some very useful templates that let you place your photo with popular celebrities. The app includes tons of features such as lots of funny templates, custom templates with built-in tools, built-in camera support , photo sharing tool , built-in correction features to give photo realistic look , different types of template categories and many other functions. Very useful app to place your face on different types of funny photo templates. 3. 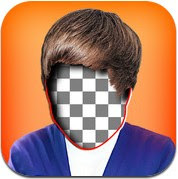 FaceGoo ( iPhone ) – Useful iPhone photo app that lets you create funny easily on your device and share with your friends. 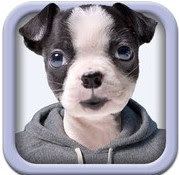 The app has lots of functions which can help you create different types of funny photos of your boring photos. The app comes with many useful features such as funny stickers, real postcards sending option, one click magic funny stickers, pen tool to draw messages, social sharing option and many other features. Great app to create and share funny photos. 4. Pho.to Lab ( iPhone & iPad ) – Full featured fun photo editing app that lets you create high quality funny photos quickly on your device. 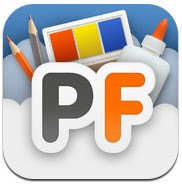 The app has tons of features and you can use this app free of cost on your iPhone or iPad. 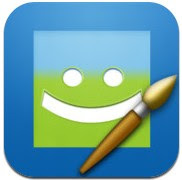 The app has many tools and features which help you create fun photos easily. The app contains around 500 amazing photo templates including many other tools and features such as -fun photo montages, stylish frames, funny faces, e-card templates, photo collage making tool, different types of fun photo effects, photo filters, and many other features. Great free fun photo creator that allows you to place your face on a popular magazine cover like Forbes or Vogue and share your created funny photos with your friends using photo sharing option. 5. MixBooth ( iPhone & iPad ) – Great app that lets you make a totally different face by mixing two faces. The app has very easy user interface that allows you to generate realistic faces by mixing two photos. The app has comes with some pre loaded faces that let you generate very funny photos. You can change your face easily by using them. Great app that also allows you to share your photos on your social accounts. 6. 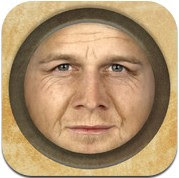 AgingBooth ( iPhone & iPad ) – AgingBooth is a funny prank app that can make your friends and family members smile. The app is a great aging machine that turns your beautiful face into a realistic old man/woman within few seconds. You can also share your photos on your Facebook or Twitter account to entertain your friends or family members. 7. Justaposer ( iPhone ) – Featured rich fun photo editor for creative iPhone users that comes with many functions and helps you create awesome photos easily on your device. The app lets you create high quality photos like professional, easily edit photos including photo elements, and share your photos with friends. 8. PhotoFunia ( iPhone & iPad ) – Very useful free fun photo app that comes with tons of templates , photo filters and photo effects.